The Viken Shipping Group is engaged in shipowning-, shipmanagement- and real estate- investments. As shipowner, Viken is a tonnage-provider who takes a customer-driven approach to investments; the basis for investments is always a certain tonnage requirement from the charterer. The type of ships and charters in the Viken fleet from time to time will thus largely be a result of investments made to cater for the different requirements in its charter portfolio. The current fleet consists of crude-oil and product tankers, DP2 shuttle tankers and gas tankers, all owned by Viken and employed on time- and bareboat-charters to end-users who trade the ships world wide. The technical management and crewing of the ships on time charter are provided by Wallem. 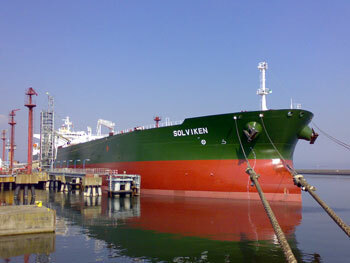 Viken made its investment in Wallem Group Ltd in 2006, as a strategic venture into the growing international industry of 3rd party shipmanagement. Hans Olav Lindal and Tom C. Steckmest are represented in the Board of Directors of Wallem. Through Vikenship Eiendom AS and its shareholding in Nitos AS, Viken holds investments in a portfolio of real estates located in Moss, Norway. As for its shipping investments, Vikens portfolio of real estate investment is strategically focused on high quality, attractively located properties on long term leases to reputable low credit-risk tenants.